Today a group of friends and I went out to shoot some arrows at the Calgary Archery Centre. Tracy took this cool video with her iPhone of us shooting, check it out! Click on the video below to play. Some of you may remember an engagement photo shoot that I did with Bic and Ken on October 7th, 2009. The bride and girls were getting ready at the Fairmont Palliser Hotel in Calgary and the ceremony was also at the same hotel. The Fairmont Palliser Hotel is great for weddings, its so beautiful! We got very lucky with the weather for this wedding, it was sunny and not too cold. The wedding party was great and we spent some time outside taking some great shots! For the reception we headed to the Regency Palace restaurant in downtown Calgary. I shot a few weddings there and it was always great! Congratulations to you both! It was a great pleasure to be your wedding photographer and to get to know you and your family! 2009-12-29 08:59 Svetlana : Beautiful shots, Sergei!! What a fun day! Yesterday evening we spent some time at the Festival of Lights here in Airdrie. DECEMBER 17, 2009 | Calgary Zoolights Photo Shoot. I spent yesterday's evening with my wife and a couple of our friend at the Calgary Zoo enjoying the Zoolights. The weather was great and we had a wonderful time! Seeing that many Christmas lights in one place somehow makes me feel more Christmasy :) If you didn't go yet, I recommend it! 2010-01-03 07:42 Sergei Belski: Thank you very much Stacey! 2010-01-01 11:58 Stacey: I LOVE this photo of you guys :) Happy New Year from Saskatoon! 2009-12-17 12:36 Greg Plesche: I took that picture. Am I good or what? Ok so it wasn't my camera and I didn't adjust the settings but I did press the shutter button! DECEMBER 15, 2009 | Calgary Zoo Animals Photographs. 2009-12-17 08:49 Greg Plesche: Sergei, I liked the swift fox shot. Are the babies still around as that looks like a pic of one of the parents. Good to see you dusted off the 400 and actually used it again. 2009-12-16 06:07 Svetlana Yanova: Beautiful photos, Sergei, love the colors! 2009-12-15 17:50 Ekaterina: Beautiful bokeh! 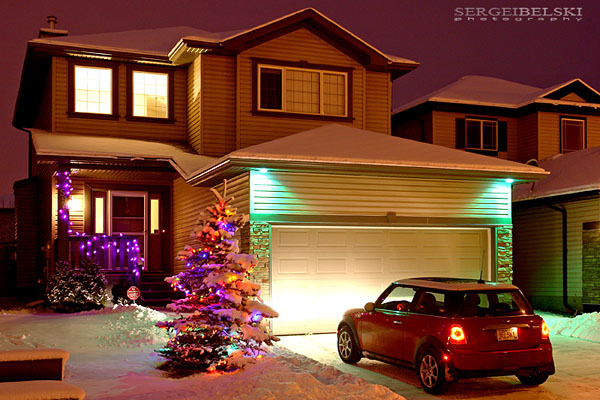 DECEMBER 14, 2009 | Calgary Wedding Photographer | Our House at Christmas time in Airdrie, Alberta. DECEMBER 14, 2009 | Panerai Watch. I don't really remember when I first saw a Panerai watch for the fist time, but I know that the first time I saw it, I loved it! There is something about Panerai watches, they are timeless, historic, and beautiful, and now The Luminor Marina Panerai Automatic is on my wrist :) Here are some shots of the watch I took earlier today. 2010-01-04 12:01 maple: what was the pic of that was featured in US Today? I tried to look for it and I ran out of patence. 2009-12-14 16:47 Brett: Thanks for keeping th eeconomy going Sergei!!! Looks Good! 2009-12-14 14:48 Sergei Belski: Thank you very much for your comments!! 2009-12-14 12:36 Drew: Nice choice! Love the B&W shot. Last year I did a photo shoot of the Zoolights event for the Calgary Zoo and today one of the photographs that I took was featured on the USA Today website. I thought it was pretty cool that they write about Calgary :) You can see some more photographs from that photo shoot at Calgary Zoo on December 28, 2008 in my Blog Archive. I was scheduled to photograph a hockey game and a couple of volleyball games this weekend but because of the crazy weather we have in Calgary they were all cancelled. I did have a great weekend with Tracy! Today a couple of our friends, Tracy and I bundled up to brave the weather and spent some time at the Heritage Park. I haven't been there for years so it was great to visit it :) I should for sure do an engagement or wedding photo shoot there in the spring or summer! 2009-12-30 15:32 Tracy B: Wow, I look warm! 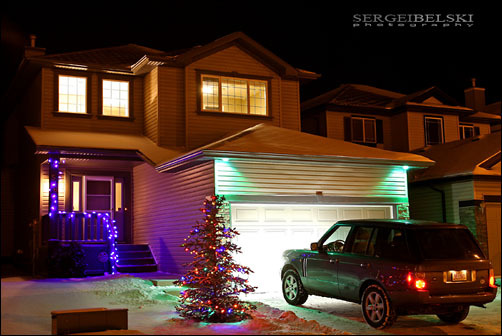 Here are a few photographs that I took for the City of Airdrie's Genesis Place. I spent a day at the center photographing different activities that you can do. I'm still amazed that we have such a great place in a relatively small city! 2011-03-06 17:41 Sergei Belski: Thank you very much! 2011-03-05 23:17 clippingimages: Thanks a lot for sharing your nice mail. 2009-12-04 11:54 Tracy B: Love the colors, it makes it all feel very fun and inviting--which it is! I love our facilities! Can't wait to see the new addition!